Being one of the most unpredictable forces of nature, lightning storms present unique challenges in photographing them. Lightning is probably happening all thru the day, but is more rewarding to photograph them once it is dark or during twilight, when the foreground accentuates the composition. 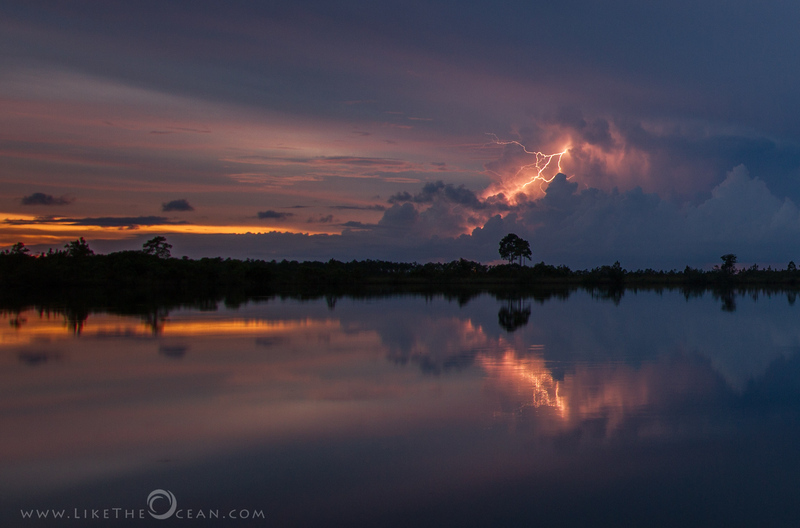 I had been trying to capture lighting for a while now, but it all came together only this particular evening at Everglades National Park. How do u like it ! Wowo that is awesome …Beautiful pic. ..